always remembering "IT'S YOUR DAY"
Eventheque - Event & Discotheque with a philosophy to offer the very best of both. 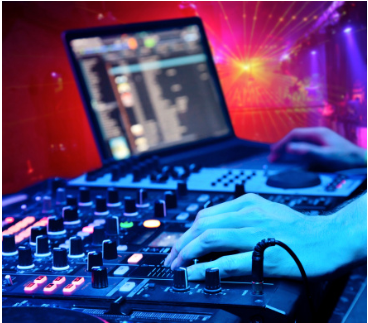 Providing professional discos and mobile nightclubs for weddings, private parties, corporate events and gala dinners for more than two decades. Booking with Eventheque ensures more than a memorable gathering, from first contact to the end of the event you are assured of a professional and welcoming attitude, a celebration to remember for the right reasons hosted by a friendly, accommodating and approachable DJ or Emcee. Your wedding day is one of the most important days of your life. Every aspect has to be planned to perfection. With an attention to detail that is second to none we will ensure that on your special day, your dreams turn into reality - sophisticated, glamorous and stunning. With the experience, knowledge and enthusiasm to work with you to create your perfect party no matter what reason there is to celebrate. Let us give your event the wow factor! No matter how crazy the idea may seem we can help, whether that may be to host an 'It's a knockout' style event, a corporate team building function or even provide a themed children's party at Eventheque we have the know how to help. Eventheque use modern sound and lighting, annually PAT tested equipment and will be happy to provide your venue with certificates of compliance and public liability insurance (PLI) on request.